As we reach the end of another calendar year, I’ve been taking a bit of time to reflect on the year past, but also looking ahead to next year. Only one thing on that list fills me with terror, but I’m sure I will get used to Glow+ with “minimal training”. Seriously though, 2013 sees the start of some fairly major changes in ICT provision, coupled with a shift in the scope and possibilities for learning and teaching. A more flexible provision of ICT should allow us greater agility, in order to respond to the changing requirements of pupils and staff. I moved house about a year ago (and it is my intention to at some point empty the four remaining boxes from the previous time I moved) and as part of that process I was required to notify the entire planet of my new address. As a new build house you are faced with the delights of postcodes not being recognised, confusion with spellings, people telling you that you don’t exist, the lot. So it may not surprise you to hear that I am only just at the stage where I can happily no longer pay the ridiculous amount I’m currently paying to Royal Mail to redirect my old mail to my new address. So why am I telling you this? Well it struck me that throughout our existence we create parallel sets of almost identical data and that sometimes we lose track of where it all is due to it not impacting on our day to day lives. When systems are interrelated life is made a whole lot easier. And I guess it is a bit like Glow. I know I am beginning to sound like a stuck record, but if Glow 2 becomes lots of disparate storage silos of content we will have little or no hope of a user being able to achieve an overview of what they actually have created or can access. Remember when all your lesson plans and resources were on a single floppy disk? Then what happened? You created more resources, so you needed more floppy disks, so you had to buy a storage box. Then they gave you a network drive, which you filled up with lots of large files, so eventually requested more storage for. Then you got a nice USB Pen (I still have my very first USB Disgo 64mb- £90 at the time! ), buying several more as they started to fill up. Until you come to today, where you have several network drives, encrypted (or they should be!) USB sticks, external hard drives, content on Glow, content in Email, content on the web in various guises, and still that storage box of floppy disks propping up a shelf at the back of a cupboard. It is imperative that whatever Glow 2 becomes and whatever is allowed to be connected to it, there must be complete integration in terms of resource sharing and storage. The storage should be accessible to all users both inside school and from home and should be scalable to meet the needs of the user. Whatever is created by the user, it must be able to be transfered between establishments and between Authorities and allowed to export at the end of their school life in order to be continued into their future life and career. Anyone want to buy a floppy disk storage box? What I can do though is identify ICT resources to support the next batch of athletes in the hope that they manage to get further than just joining me at the cafe in the local sport arena. 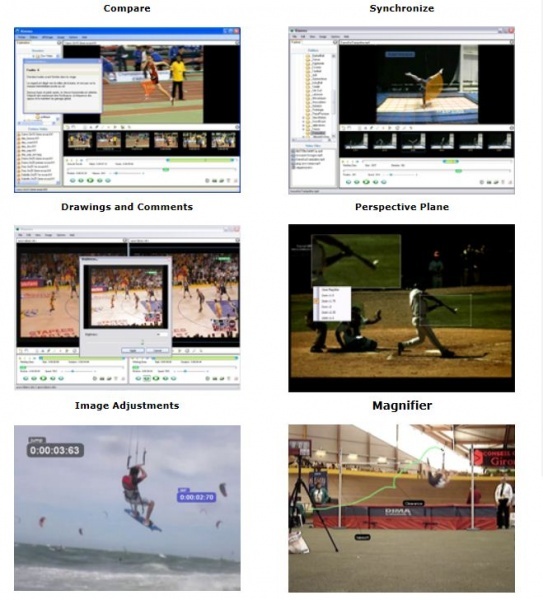 One early resource we had was Dartfish, the video analysis software and hardware. While this is seen as the market leader, it is quite an investment in terms of budget, so it never really spread to other schools in our area. One thing we stumbled upon was Kinovea, an Open Source alternative which we now deploy as part of our standard image in Art, Drama and PE. While it doesn’t have as many bells and whistles as Dartfish it does offer a lower cost alternative for performance analysis. Pupils can have their performance compared against professionals or against each other. Slow motion replays can be used to critically evaluate methods and techniques. It may even improve the odd golf swing or two! The software is updated fairly regularly and the development community are always open to suggestions for improvements. Before people started to bail on me I decided to point out that there is a fairly simple solution to this- the group data relationship between Glow and the Authority MIS provider. A click to the Group Membership and I showed all of their classes and the pupils within it. When the pupil moves class, the MIS is altered and the membership of the Glow Group automatically updates to reflect this. “Wow” was the response, “I didn’t know it did that!”. So why am I blogging about this? Well, whatever Glow2 becomes, this relationship with data I feel must continue. Why should a class teacher have to spend time setting up memberships when the data is already sitting there on a secure updated system? Is there an opportunity with 28 Local Authorities using the same MIS to make it a National MIS and the core of Glow2? So where do we go with Glow V2? There has been a lot of talk already about several big companies and their Cloud based services being seen as a possible complete replacement for Glow. It is clear from the criticisms of Glow V1 that its lack of ability to respond quickly enough to change in ICT was a key failing, so I can understand why we are looking at the “big hitters” in ICT- it’s a safe bet that they will be able to respond and drive change. I have no issue with Glow V2 signing up to any service, such as Google, where we have a contract in place for a guaranteed term for certain services, but I keep coming back to thinking that we need a core portal that Scottish Government has some form of control over to integrate the other services to. It can be as free and open as you like and allow the APIs of other services to connect, which would allow change to happen. What it should also allow is for Authorities and schools to subscribe to additional services as they see fit. Another benefit of this approach would be a gathering point for other associated agencies such as GTC, Education Scotland, SEEMiS, COSLA, etc. I’m not touting Moodle as a solution, but something along those lines, with a Scottish Government hosted environment that allows the integration of all these other Edu apps services through freely available plug-ins. However, sometimes I forget that not everyone is as keen to move on. Let’s take MS Office as an example- it’s a core product to most things done in school, but it has a product refresh every 3 or 4 years. The move from Office 97 to 2000 was fine, 2000 to 2003 also fine, but 2000 to 2007 was a dramatic change for users. Gone was the long menu driven layout in favour of a “ribbon” layout divided into related tasks. It took me a good month or so to adjust, but I now love this layout. Others I’ve spoken to are not as keen; some on a usability basis, some on a resources implication for prepared pupil support notes. They are fully interactive- do what you would do in 2003 and it will show you how to do it in 2007. Everyone I’ve shown them to has loved them! 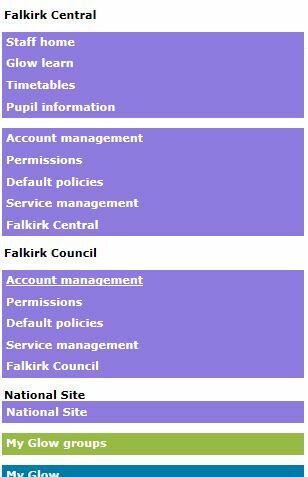 Over the past year we’ve tried to counter this issue by putting in links, graphical interfaces and trying to find some form of uniformity of branding across our Falkirk Glow sites. 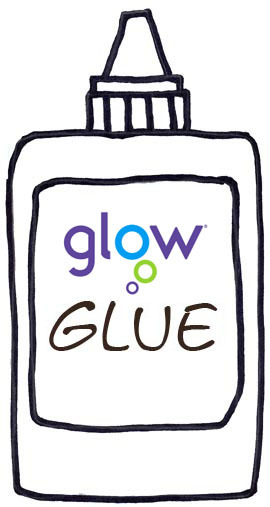 This helped make things slightly easier to navigate, however one issue we still faced was how we could quickly update this branding across all Falkirk Glow groups. The buttons are basically HTML code that hyperlink to the relevant page. As they are hosted on public webspace, all you have to do is create a Page Viewer webpart to the URL of the webspace then import it to all of your Glow Groups. This allows us to edit the buttons on the webspace and the changes carry through to all of the Glow Groups. We’ve already had to make a few changes from the original concept, but these changes can be made quickly and easily, as opposed to having to edit and update every single Glow Group! We’ve all been there- sitting in the reception of a building and being entertained by a plasma screen on a wall, telling us all about what is going on in the world today. With the increasing number of new build schools, this business approach to digital signage has led to companies selling their shiny screens to education. In our Authority we have several different companies providing signage products over the past 5 or so years, but I’ve often found them to be clunky to use and unsustainable. I’ve also questioned the scalability of such products, with schools being quoted frankly hideous amounts of money to display the work of the school. 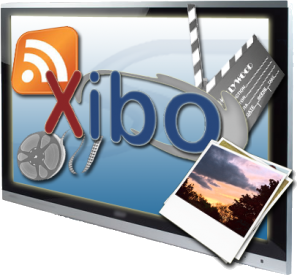 Xibo is an Open Source Project for Digital Signage, offering all the capabilities of commercial signage, but with the added bonus of scalability and affordability. The management software can run on existing servers and the client software runs on fairly low end hardware (we use old PCs that were destined for the bin!). In terms of set-up, the management software is far superior to any of the other products I have used, with schools now updating their signage on a daily basis, keeping a fresh look to their displays. We even have school dining halls and staff rooms running targetted displays with key messages for the week. Over the next few weeks I will post some more on this topic, as well as some pictures, as we now have some additional systems feeding into the displays. After much taunting/encouragement/teasing/jabbing and general mocking, I have finally made the move into blogging. My main motivation is to record some of the things I get up to on a day to day basis, as well as draw attention to future developments in ICT in Falkirk Council. The views expressed in this blog do not necessarily reflect those of my employer.